O what a Savior is Jesus Christ! He is the chief among ten thousand! Look at His sinless, yet real humanity — without a single taint, yet sympathizing with us in all our various conditions — our afflictions — our temptations — our infirmities — our griefs. Now that He is in glory, He is still cherishing a brother’s heart, bending down His ear to our petitions — ever standing near to catch our sighs, to dry our tears, to provide for our needs, to guide us by His counsel, and afterwards to receive us to glory! 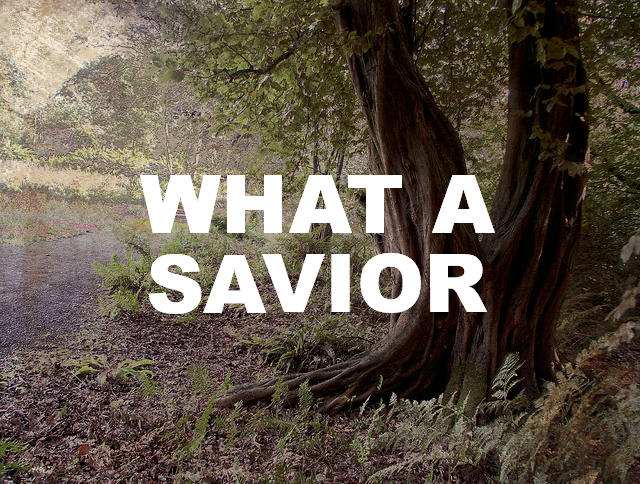 O what a Savior is Jesus Christ! When He is known — all other beings are eclipsed. When His beauty is seen — all other beauty fades. When His love is felt — He becomes supremely enthroned in the affections. To know Him more, becomes the one desire of the renewed mind; and to make Him more known, is the one aim of the Christian life. O what a Savior is Jesus Christ! As the faithful servant of the everlasting covenant, it was proper, it was just, it was the reward of His finished work, that Christ’s deepest humiliation on earth should be succeeded by the highest glory in heaven. “For the joy that was set before Him,”—the joy of His exaltation, with its glorious fruits—”He endured the cross, despising the shame, and is set down at the right hand of the throne of God.” How proper, how righteous does it appear, that the crown of His glory should follow the cross of His humiliation! Toilsome and faithful had been His life; ignominious and painful had been His death. From both there had accrued to God—is now, and will yet be accruing, through the countless ages of eternity—a revenue of glory, such as never had been His before. He had revealed the Father gloriously. Drawing aside the veil as no other hand could do, He caused such Divine glory to beam forth, as compelled every spotless spirit in heaven to cover Himself with His wings, and fall prostrate in the profoundest humility and homage. The glorious perfections of God!—never had they appeared so glorious as now. The mediatorial work of Jesus had laid a deep foundation, on which they were exhibited to angels and to men in their most illustrious character. Never before had wisdom appeared so truly glorious, nor justice so awfully severe, nor love so intensely bright, nor truth so eternally stable. Had all the angels in heaven, and all creatures of all worlds, become so many orbs of divine light, and were all merged into one, so that that one should embody and reflect the luster of all, it would have been darkness itself compared with a solitary beam of God’s glory, majesty, and power, as revealed in the person and work of Immanuel. The ascension of Jesus to glory involved the greatest blessing to His saints. Apart from His own glorification, the glory of His church was incomplete—so entirely, so identically were they one. The resurrection of Christ from the dead was the Father’s public seal to the acceptance of His work; but the exaltation of Christ to glory was an evidence of the Father’s infinite delight in that work. Had our Lord continued on earth, His return from the grave, though settling the fact of the completeness of His atonement, could have afforded no clear evidence, and could have conveyed no adequate idea, of God’s full pleasure and delight in the person of His beloved Son. But in advancing a step further—in taking His Son out of the world, and placing Him at His own right hand, far above principalities and powers—He demonstrated His ineffable delight in Jesus, and His perfect satisfaction with His great atonement. Our Lord’s was a chequered history. Lights and shadows thickly blended in the marvelous picture of His life. The lights were but few; the shadows predominated. He did not come into the world to be joyful and happy, but to make others so. Hence the portrait, “He was despised and rejected, a man of sorrows, acquainted with bitterest grief.” We have just looked upon one of the earthly lights thrown upon the picture; we are now to contemplate one of its dark shadows. From viewing Him as for the moment favored with the adulation of the multitude, we turn to behold Him the object of their bitter scorn and rejection. Then drew near unto him all the publicans and sinners for to hear him. And the Pharisees and scribes murmured, saying, This man receives sinners, and eats with them. Luke 15:1, 2. And to whom did He consecrate this learning, this wisdom, and this eloquence? To the very objects whom the proud philosophers and the doctors of His day despised and neglected—even the weary. What a field was here for the exercise of His skill, and for the play of His benevolence! How fully would he demonstrate that He truly possessed the “tongue of the learned”! If to interest the feelings of the exhausted—if to enchain the attention of the weary—if to concentrate upon one subject the powers of a mind jaded and burdened—if to awaken music from a heart whose chords were broken and unstrung, mark the loftiest reach of eloquence, then His was eloquence unsurpassed—for all this He did. The beings whom He sought out, and drew around Him, were the burdened, the bowed, the disconsolate, the poor, the friendless, the helpless, the ignorant, the weary. He loved to lavish upon such the fullness of His benevolent heart, and to exert upon such the skill of His wonder-working power. Earth’s weary sons repaired to His out-stretched arms for shelter, and the world’s ignorant and despised clustered around His feet, to be taught and blessed. Sinners of every character, and the disconsolate of every grade, attracted by His renown, pressed upon Him from every side. “This man receives sinners,” was the character and the mission by which He was known. It was new and strange. Uttered by the lip of the proud and disdainful Pharisee, it was an epithet of reproach, and an expression of ridicule. But upon the ear of the poor and wretched outcast, the sons and daughters of sorrow, ignorance, and woe, it fell sweeter than the music of the spheres. It passed from lip to lip, it echoed from shore to shore—”This man receives sinners.” It found its way into the abodes of misery and want; it penetrated the dungeon of the prisoner and the cell of the maniac; and it kindled a celestial light in the solitary dwelling of the widow and the orphan, the unpitied and the friendless. Thus received its accomplishment the prophecy that predicted Him as the “Plant of renown,” whom Jehovah would raise up. Thousands came, faint, weary, and sad, and sat down beneath His shadow; and thousands more since then have pressed to their wounded hearts the balsam that exuded from His bleeding body, and have been healed. For God so loved the world that he gave his only begotten Son, that whoever believes in him should not perish, but have everlasting life. John 3:16. RICH is the provision which God has made for poor broken-hearted, humble, penitent sinners “God so loved the world.” Oh what love was that! This is the love to which, as a trembling sinner, I invite you. And what has this vast and astounding love provided? A “Savior and a great one.” Jesus is that Savior! Has the Spirit convinced you of sin? Do you feel guilt a burden, and does the law’s curse lie heavy upon you? Then He is your Savior. Believe in Him, embrace and welcome Him. See, how He points to His atoning blood, and bids you bathe in it! See, how He shows you His wounded side, and invites you to take refuge in it! Hear Him say, “Come unto me, all you that labor, and are heavy laden, and I will give you rest. Him that comes to me, I will in no wise cast out.” Oh come to Jesus! Cultivate frequent and devout contemplations of the glory of Christ. Immense will be the benefit accruing to your soul. The mind thus preoccupied, filled, and expanded, will be enabled to present a stronger resistance to the ever advancing and insidious encroachments of the world. No place will be found for vain thoughts, and no desire or time for carnal enjoyments. Oh, then, aim to get your mind filled with enlarged and yet expanding views of the glory of the Redeemer. Let it, in all the discoveries it affords of the Divine mind and majesty, be the one subject of your thoughts — the one theme of your conversation. Place no limit to your knowledge of Christ. Ever consider that you have but read the preface to the volume; you have but touched the fringe of the sea. Stretching far away beyond you, are undiscovered beauties, and precious views, and sparkling glories — each encouraging your advance, inviting your research, and asking the homage of your faith, the tribute of your love, and the dedication of your life. Go forward, then! The glories that yet must be revealed to you in a growing knowledge of Jesus — what imagination can conceive, what pen can describe them? Jesus stands ready to unveil all the beauties of His person; and to admit you into the very pavilion of His love. There is not a chamber of His heart that He will not throw open to you — not a blessing that He will not bestow upon you — not a glory that He will not show to you. greater depths of grace and glory in Jesus shall be enjoyed. Your communion with God shall be closer, and more the fruit of adopting love in your heart. Your feet shall be as hinds’ feet, and you shall walk on high places. Your peace shall flow as a river, and your righteousness as the waves of the sea. all this, and infinitely more, will result from your deeper knowledge of Jesus. This is a clearer and more glorious discovery of Christ, inasmuch as it is the manifestation of Christ in the revealed word. Our Lord cares not to conceal Himself from His saints. He remembers that all their loveliness is through Him, that all their grace is in Him, that all their happiness is from Him; and therefore He delights to afford them EVERY MEANS and occasion of increasing their knowledge of, and of perfecting their resemblance to, Him. The “lattice” of His house is figurative of the doctrines, precepts, and promises of His Gospel. Through these the Lord Jesus manifests Himself, when we come to the study of the word, not as self-sufficient teachers, but as sincere and humble learners, deeply conscious how little we really know, and thirsting to know more of God in Jesus. The Lord Jesus often shows Himself through these “lattices,”–perhaps some type, or prophecy, or doctrine, or command–and we are instructed, sanctified, and blest. It is the loss of so many readers of the Bible that they do not search it for Christ. Men will study it with the view of increasing their knowledge of science and of philosophy, of poetry and of painting; but how few search into it for Jesus! And yet in knowing Him the pavilion of all spiritual mystery is unlocked–all that God designed to communicate in the present world. To know God is to comprehend all knowledge; God is only truly known as revealed in Jesus; therefore he who is experimentally acquainted with Jesus, holds in his hand the key that unlocks the vast treasury of God’s revealed mind and heart. Blessed Lord, I would sincerely open this box of precious ointment–Your own word–that the fragrance of Your grace and of Your name might revive me. It is Your word, and not man’s word, that can meet my case, and satisfy my soul. Man can only direct me to You; Your word brings me to You. Your servants can at best but bring You in Your Gospel to my heart; but Your Spirit of truth brings You through the gospel into my heart. Oh, show Yourself to me in the gospel “lattice” of Your word, and I shall rejoice as one that has found great spoil–in finding You. “A sure foundation” is the last quality of excellence specified of this precious Stone. As if, in so momentous a matter as the salvation of the soul, to remove all lingering doubt from the mind, to annihilate all imaginary and shadowy conceptions of Jesus; Jehovah, the great Builder of the Church, declares the foundation thus laid to be a real and substantial one. Confidently here may the weary rest, and the sinner build his hope of heaven. All is sure. Precious Jesus! we have been contemplating Your glory as through a glass darkly. And yet we thank and adore You even for this glimpse. Dim and imperfect though it is, it has endeared You–unutterably endeared You–to our hearts. Oh! if this is Your glory beheld through a clouded medium, what will it be seen face to face! Soon, soon shall we gaze upon it. Then, Oh glorious King, we shall exclaim, “It was a true report that I heard of your acts and of your wisdom, and, behold, the half was not told me.” Seeing that we look for such things, grant us grace, that being “diligent, we may be found of You in peace, without spot, and blameless.” Send to us what You will, withhold from us what You will; only vouchsafe to us a “part in the first resurrection,” and a seat at Your right hand when You come to Your kingdom. Low at Your feet we fall! Here may Your Spirit reveal to us more of Your glory! Oh, irradiate, sanctify, and cheer us with its beams! Behold, we cling to You! You are our Emmanuel, or portion, and our all. 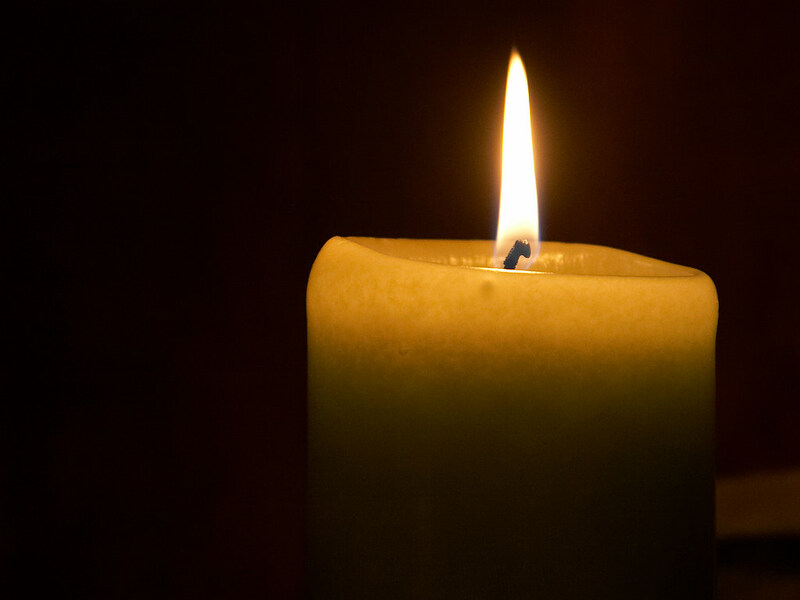 In darkness we repair to the fountain of Your light. In sorrow, we flee to the asylum of Your bosom.